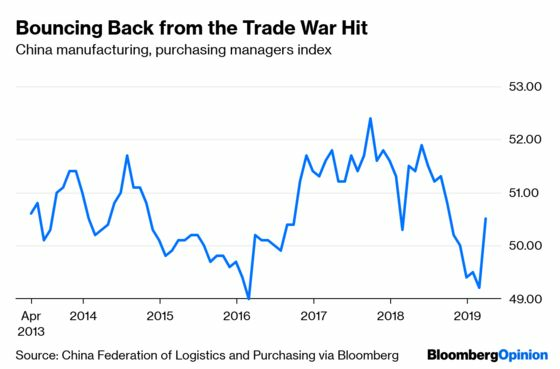 (Bloomberg Opinion) -- In March 2018, President Donald Trump uttered his famous declaration that “trade wars are good and easy to win.” A little more than a year later, it looks as if Trump is losing the trade war he started with China. But the U.S. was also sideswiped by the trade war. Taxing Chinese-made products raised prices for American consumers and factories alike. A pair of studies by trade economists put the losses to the U.S. economy in the tens of billions of dollars annually. Inventories piled up. U.S. agricultural exports, which had been growing exponentially, started to fall, and farm incomes declined. Desperate farmers appealed to Trump for help, and he responded with a wave of direct payments to farmers. But going on the government dole isn't a sustainable business model, and a wave of farm bankruptcies has begun. So far, farmers haven’t abandoned Trump politically, but the threat is clearly there. This demonstrates why China was always in a better position to win a trade war with the U.S. China’s autocratic regime is much less vulnerable to the shifting winds of politics than the U.S.’s democratically elected politicians. Also, China much more recently escaped from poverty, and its residents are more accustomed to enduring economic hardship. 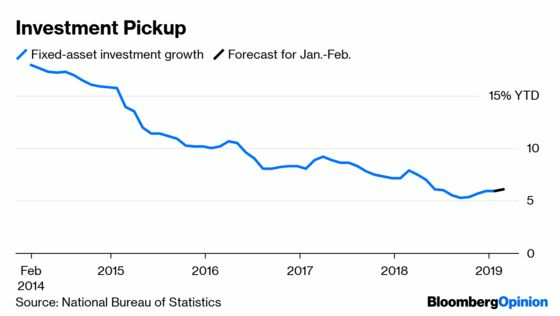 And since China is still catching up with the rest of the world, a slowdown there means going from 6.5 percent annual growth to 6 or 5.5 percent, while a slowdown in the more mature U.S. economy means a significant hit or even a halt to growth. Trump is now beating a retreat. A trade truce with China, enacted in late 2018, left most of the U.S.’s biggest goals -- intellectual property theft, currency manipulation, forced technology transfer and access to the Chinese market -- unfulfilled. 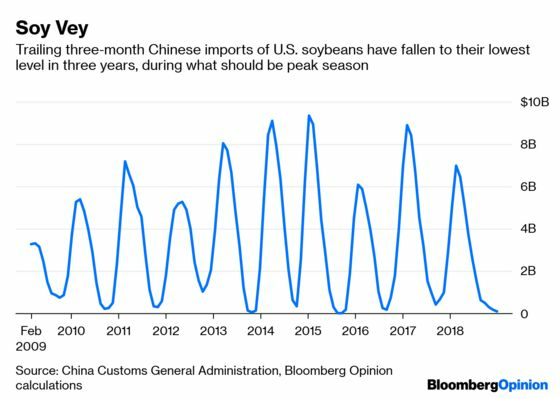 Essentially, China will buy more U.S. farm products and a few other exports, and Trump will back off. A final deal is likely to look even more like an ignominious defeat for the Trump administration. Meanwhile, there are signs that the Chinese slowdown has bottomed out, as the government unleashes some fresh stimulus. But tariffs are only one aspect of the trade war. Although it has been less in the public eye, the struggle to control the future of high technology is arguably even more important to the balance of economic power between the U.S. and China. And the U.S. may also be losing on this front as well. The U.S. has recently been putting pressure on Huawei Technologies Co., China’s leading telecommunications manufacturer. It has tried to pressure American allies not to buy 5G wireless technology from the company, which some believe to be an arm of the Chinese military. American security services worry that Huawei-made 5G products would be able to spy on communications around the world. But in a big blow to that effort, Germany recently said it would not shut Huawei out. Meanwhile, the U.S. has implemented export controls on many technology products. Many Chinese manufacturers rely on sophisticated American technology -- for example, some Chinese circuit makers rely on U.S.-made semiconductors. Export controls will hurt Chinese tech in the short term, but in the long term it could merely push China to accelerate its efforts to replicate and surpass U.S. technology. In the past, the U.S. has benefitted from retaining the high-value parts of the supply chain, even as it outsourced the lower-value parts to China. But if China becomes a technological peer, its companies will begin to compete more directly with American ones, as Japanese companies did in the 1970s and 1980s. So Trump’s trade war is looking shaky on all fronts. His ferocious attacks inflicted some damage, but China could take the losses, and is now battling back with great effectiveness. It turns out that trade wars weren’t quite as easy to win as Trump believed.